Dragon Cellars is a company dedicated to the design, manufacture and installation of the most exclusive, contemporary and innovative 100% custom wine cellars and cabinets. Ricardo Ordonez of Union i Design has been designing custom spaces for his friends and family for years. 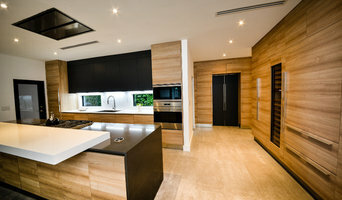 His attention to detail and unique perspective on interior design is evident in every job he completes. Ricardo creates custom living experiences and is inspired by his clients passion and lifestyle. Ricardo is an expert in reclaimed materials and specializes in wine cellars and both interior and exterior remodeling. Union i Design wants you to love your home and have it reflect your unique personality. Take control of your space. Contact Ricardo at Union i Designs today to start your next project and find a place for your passions in a home that makes room for them. Very high-end winery promotional products. Metallized artistic wine bottle holders, murals & displays. 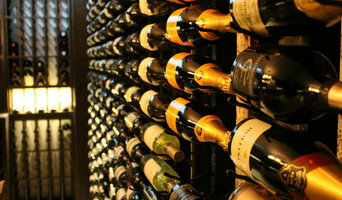 Wine Cellar International is a full service custom wine cellar consulting, design & construction firm. 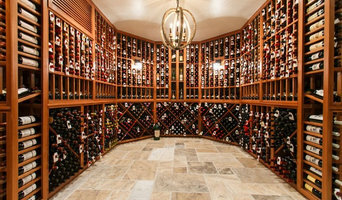 We specialize in creating a space that fits any client's particular wine storage vision & needs. Building on a decade of exciting achievements, we thought it was time to bring wine cellar racking to a new level. 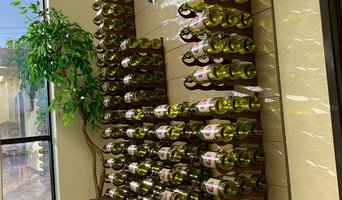 Our wine racks are especially made to highlight your wine bottles from every angle. Custom Wine Cellars Miami is a full-service agency that provides design, consultation, and installation services. Our knowledgeable staff is available to help you figure out your wine storage needs, Whether you need wine cellar refrigeration repair, design help, wine racks or full cellar construction contact Custom Wine Cellars Miami for your wine cellar project. Liquor Store, Wine Store, Beer Store Welcome to your Miami discount wine and spirits store by Checkers Liquors. Offering over 30 years of experience, we are committed to provide excellent service, while offering the finest selection of wine and spirits comprised of an array of artisan domestic products along with renowned international imports at the best prices. Come by during our monthly socials to participate in select tastings of quality wine, beer, and spirits. It’s our commitment to provide you with prompt and courteous service; all members of our staff are well-versed with the different wine, beers, and spirits available. Shopping for wine, beer, or spirits? Checkers Liquors is your one-stop destination. Welcome to your Miami discount wine and spirits store by Checkers Liquors. Offering over 30 years of experience, we are committed to provide excellent service, while offering the finest selection of wine and spirits comprised of an array of artisan domestic products along with renowned international imports at the best prices. Come by during our monthly socials to participate in select tastings of quality wine, beer, and spirits. It’s our commitment to provide you with prompt and courteous service; all members of our staff are well-versed with the different wine, beers, and spirits available. Liquor Store, Wine Store, Beer Store Welcome to your Cutler Bay discount wine and spirits store by Checkers Liquors. Offering over 30 years of experience, we are committed to provide excellent service, while offering the finest selection of wine and spirits comprised of an array of artisan domestic products along with renowned international imports at the best prices. Come by during our monthly socials to participate in select tastings of quality wine, beer, and spirits. It’s our commitment to provide you with prompt and courteous service; all members of our staff are well-versed with the different wine, beers, and spirits available. TURNING THE INVISIBLE INTO VISIBLE This is our goal History, culture, passion, daily work: the intense taste of rural traditions. This is what brings us together, This is what distinguishes us, And this is what we want to offer you. Storing your valuable wine in the right conditions is an investment well worth making if you’re serious about wine. Storage comes down to a few key variables - and this is where Florida wine cellar professionals can help you out. Wine cellar designers specialise in designing, building and maintaining cellars to house your collection of bottles at the proper temperature and in the correct conditions. But their skills go well beyond designing and building a wine cellar fit for your dreams. These wine storage experts can also advise you on smaller scale home bar setups, wine racks or wine cabinets to fit your budget and even beer fridges. For trickier installations, they may need to call on other specialty contractors in Miami. Your Miami, FL wine cellar professional also will oversee the preparation of the target space (moisture barriers, ventilation and so forth) as well as the construction process. Wine cellar builders select and install the necessary equipment and surfaces, from racks and cabinetry to flooring and lighting, and often handle special security systems to protect a homeowner’s collection.